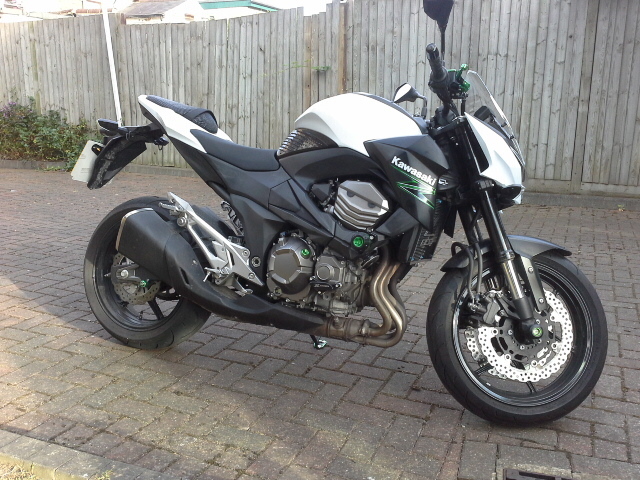 White and black z800e. All original features. Added extras like; scottoiler, green oil cap, breakfluid dustcap, stand foot, etc. 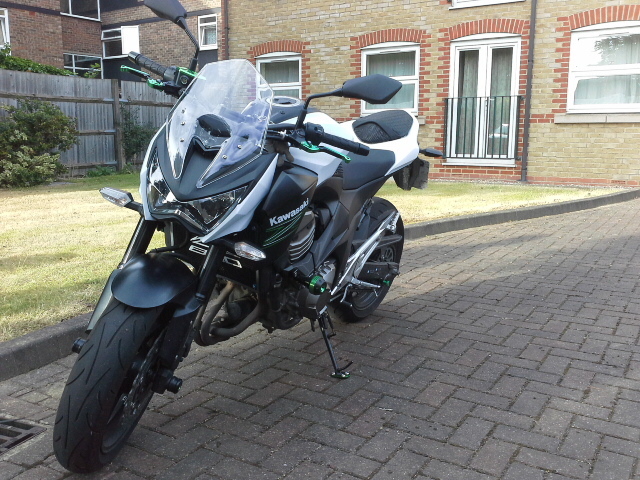 New z800 levers, tank protectors, black screen, radiator guard, plus more. 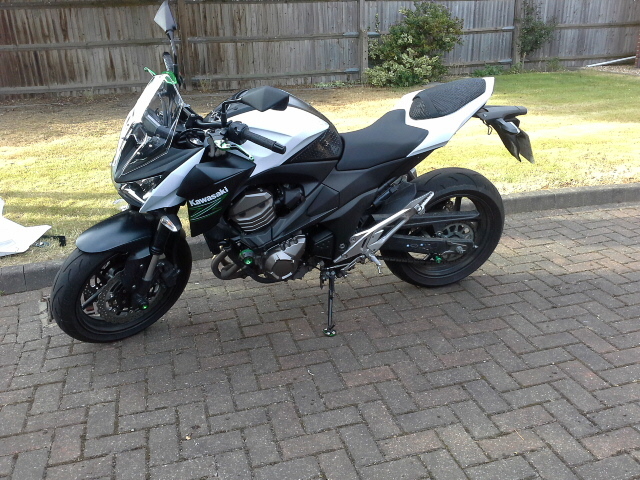 STOLEN 5th Nov 18 between 1230 & 1615 from LS5.